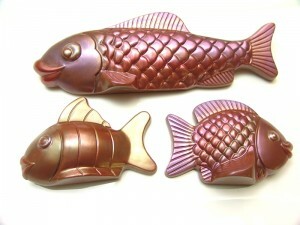 Shaped ‘hollow’ fish available in either milk or dark chocolate. A variety of dusting or shading combinations available. Fish are presented in clear tagged bags.